Buying Kinley? Now get ready to buy ‘Vitality Air’. Well, there is a jocular saying, which I bumped into some time ago while browsing the internet. It is, “all my life I thought that air was free until I bought a bag of chips”. The sentence makes sense. Doesn’t it? As you are all aware that when we buy a pouch of potato chips, you find that it is half empty and the void is filled with air to prevent the breakage of the crispy, fragile chips. We are already buying ‘Kinley’ bottled water and now, we the city dwellers, should all get ready to buy ‘Vitality Air’ bottled air. During my childhood, I always felt that water and air are free forever. I even very well remember my social studies teacher teaching us that water and air do not have any prize as they are abundantly available in nature. Being a man with a rustic background, I first saw some wealthy-looking people drinking from branded mineral water bottles in the 90s, that too when I reached Hyderabad in search of a job. At that time, I was under the impression that people who drink mineral water are wealthy and suave, and the people who fetch water from bore wells and municipal taps are either poor or middle class. The population explosion has put a lot of pressure on the societal resources. The greed of realtors made many lakes and tanks vanish. The indiscriminate drilling of bore wells has resulted in the depletion of the underground water resources. The rapid industrialization and the resultant pollution made most of the water bodies go useless. Rampant deforestation and the overexploitation of the natural resources have resulted in the global warming, which triggered a menacing heat wave in many parts of the world. The people in many parts of India are experiencing severe drought and the crop failures are looming large. All this has contributed to the phenomenon where the hitherto free natural resources like water acquired the status of a commodity, and even the poorest of the poor are forced to spend from their meager earnings to buy water. This is a very precarious situation. However, the worst is yet to come. In cities like Delhi and Beijing, the pollution has reached the intolerable levels and the people are suffering from pollution-related ailments. The city dwellers are living precariously and they are yearning for fresh air. Sensing the opportunity, a Canadian company called Vitality Air started selling bottles of fresh, oxygen-rich, clean air in cities like Beijing and Delhi. 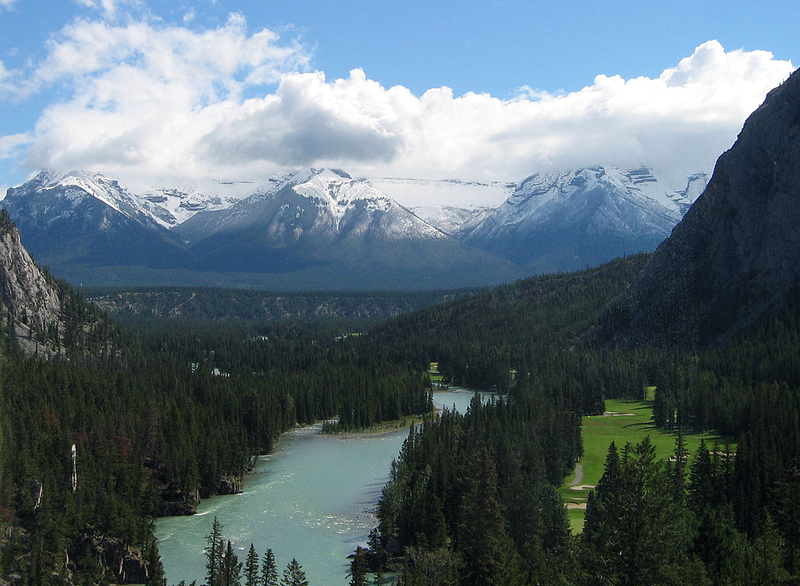 Vitality Air captures fresh air from some localities in Canada, where nature is preserved in its pristine form. The nice looking aluminum canisters, into which the air is filled, resemble the bottles of perfume spray that are seen on our supermarket shelves. In China where the people are gasping for breath in the smog-infested cities, are buying them with a lot of enthusiasm. The clean air bottles are priced anywhere between $14 and $20 dollars depending on their sizes. The company started selling the bottled air even in India. According to the Hindustan Times, these canisters are made available in 3-litre and 8-litre cans, which cost anywhere between Rs. 1,450 and Rs. 2,800. The situation is truly ominous. These developments are pointing to an impending disaster, and if the world community blindly moves ahead with its current lifestyle oblivious to the pernicious changes that are taking place, we will be pushing the future generations into a hellhole. This entry was posted in Lifestyle and tagged commodity, pollution, smog, Vitality Air on May 3, 2016 by Dr. Ramachandra Reddy.